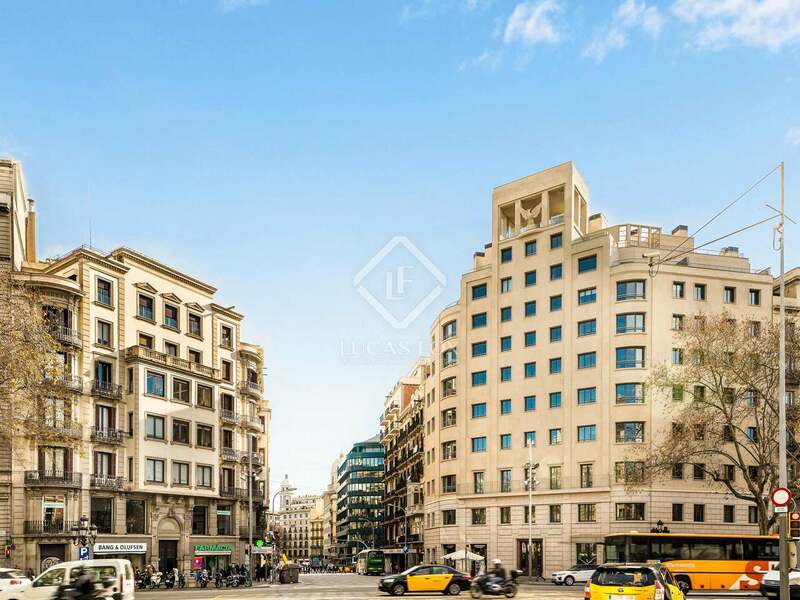 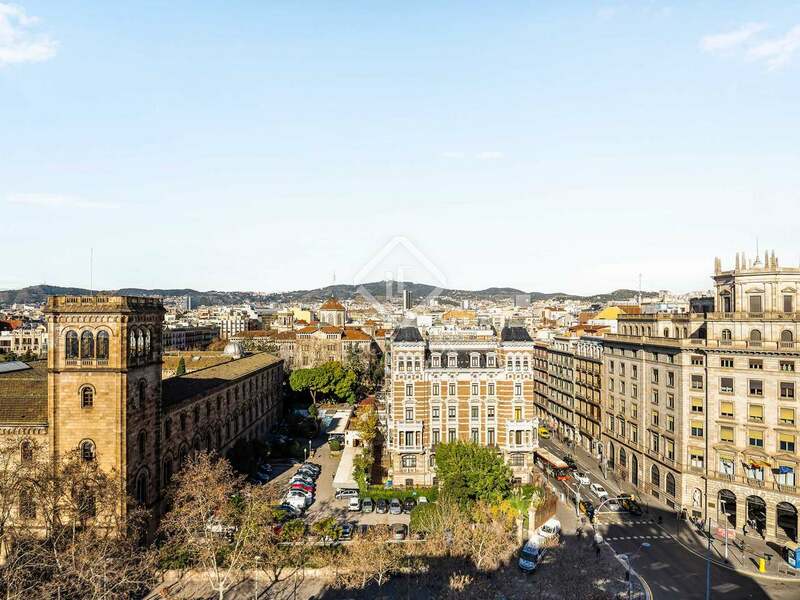 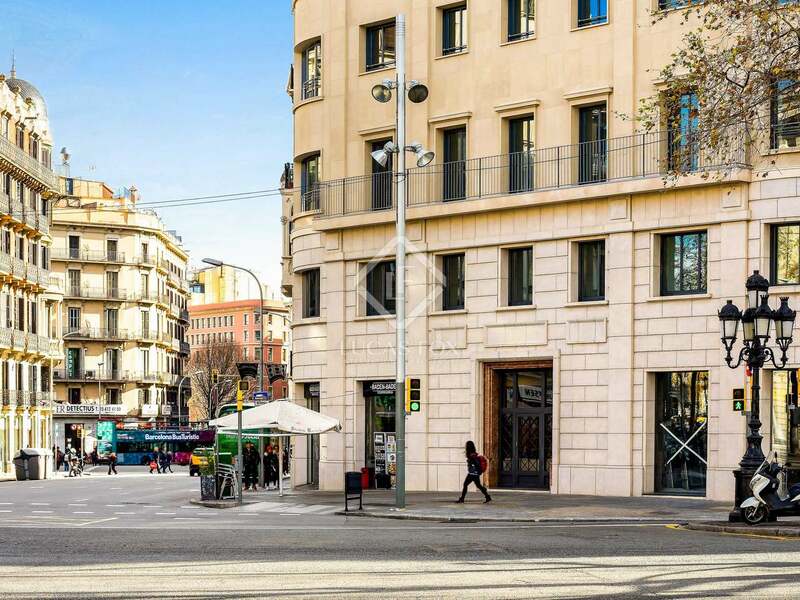 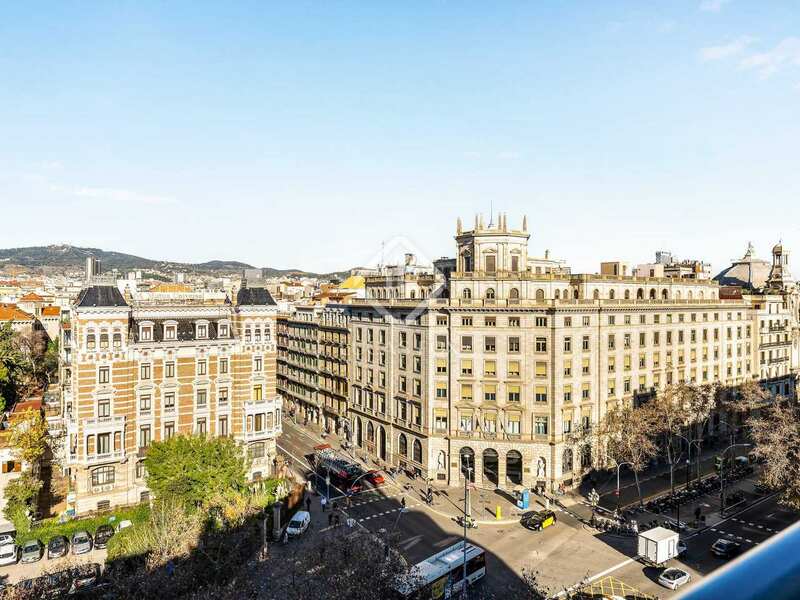 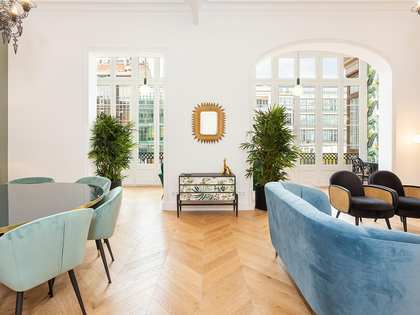 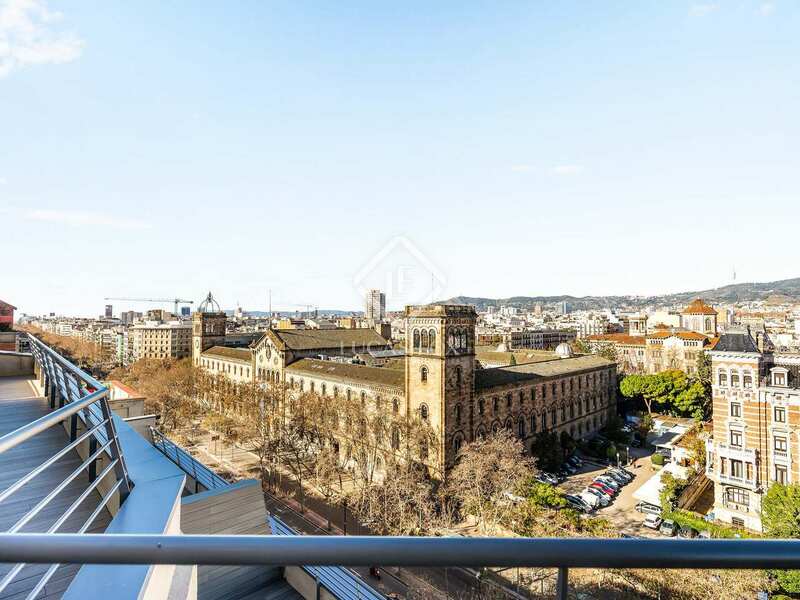 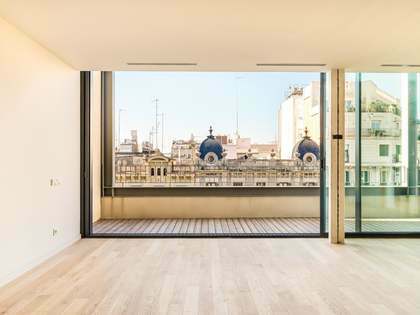 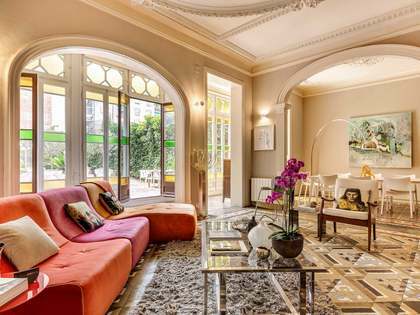 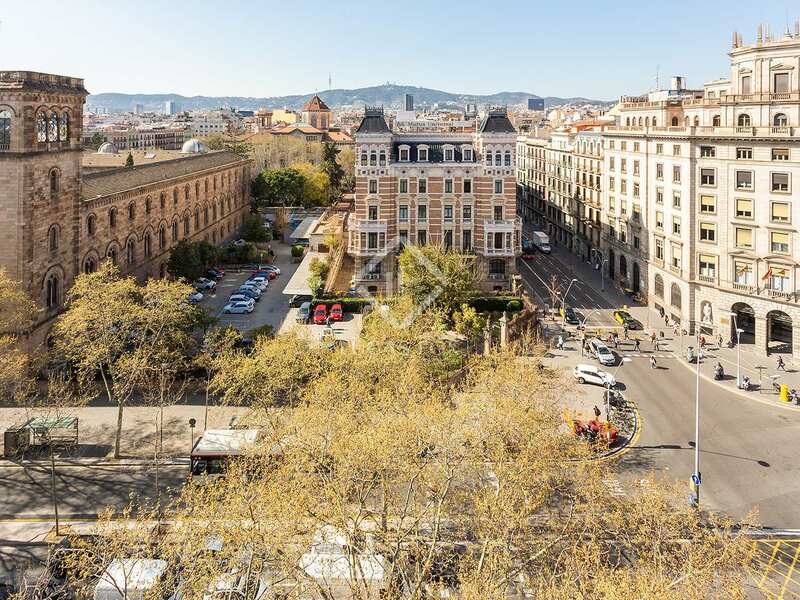 Eighth floor duplex penthouse apartment of 184 m² in a new development in an impressive landmark building on the corner of Gran Via de les Corts Catalanes and Carrer Balmes, in the Eixample district of Barcelona. 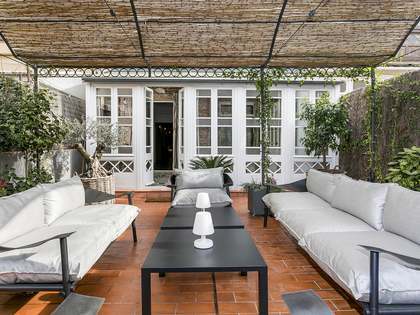 This particular property boasts an enviable terrace with dramatic sweeping views over the city of Barcelona and beyond. 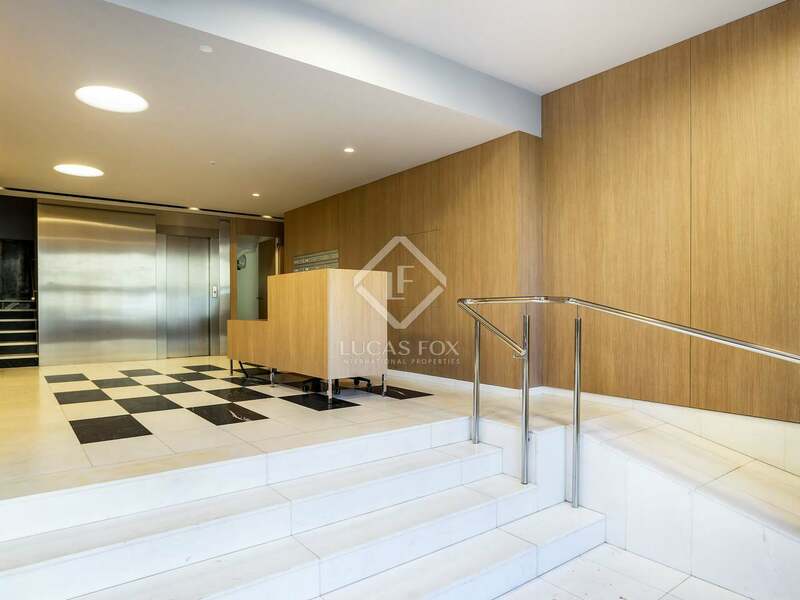 Abundant natural light and tranquility can be appreciated here thanks to the location on a high floor of the building. 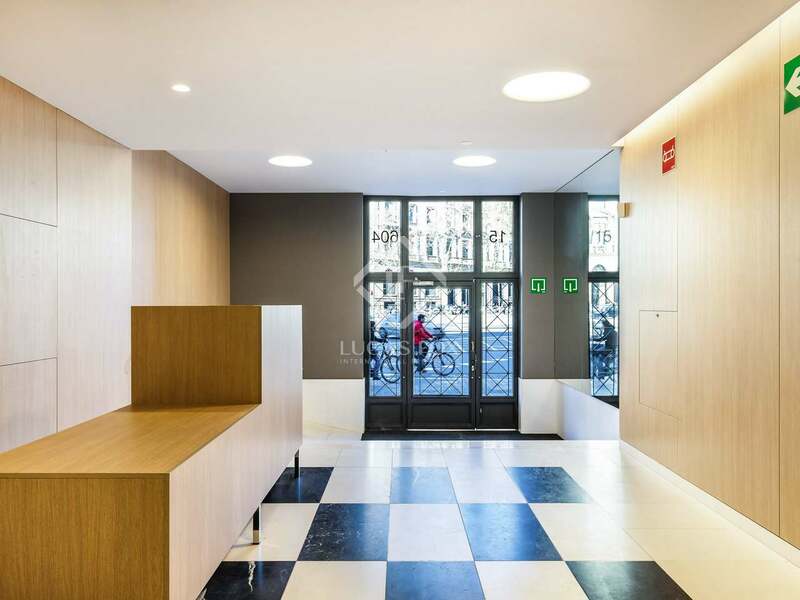 The fully renovated interiors with tasteful decor provide luxury and comfort at the heart of the city. 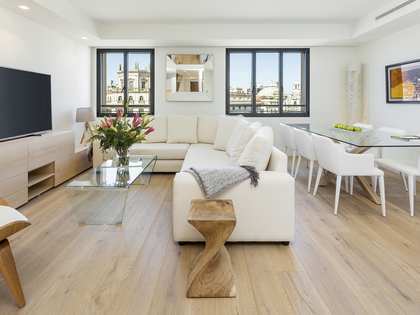 On the entry level we find the living room – dining room with access to a terrace, a kitchen, guest toilet and 2 ensuite bedrooms, also with access to a terrace. 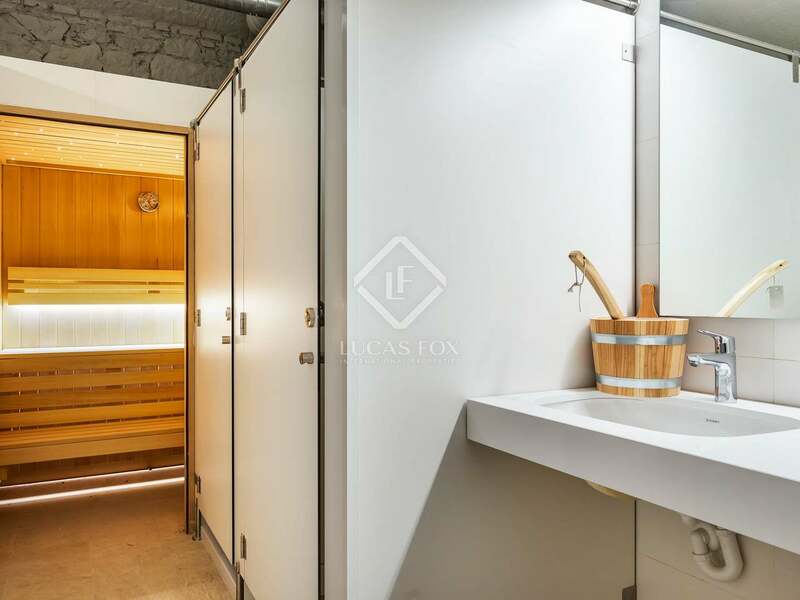 Upstairs is the fabulous master bedroom with its ensuite bathroom and private terrace. 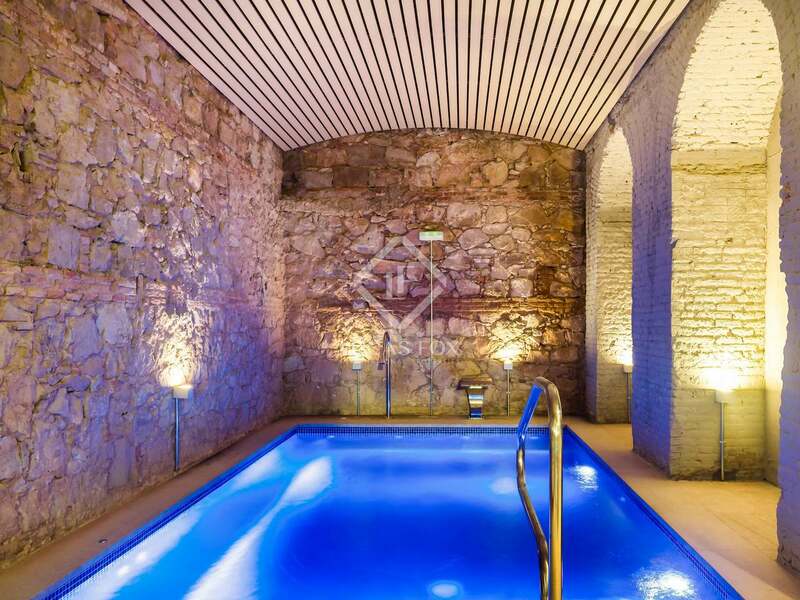 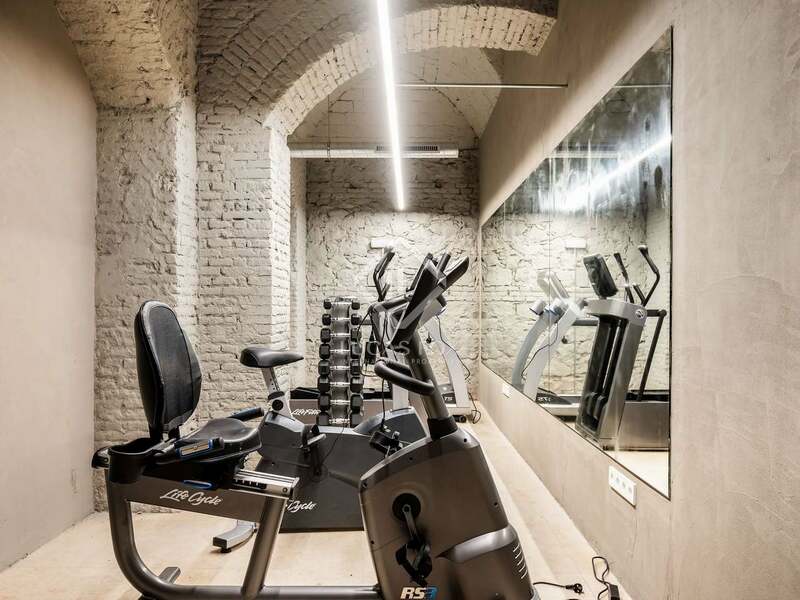 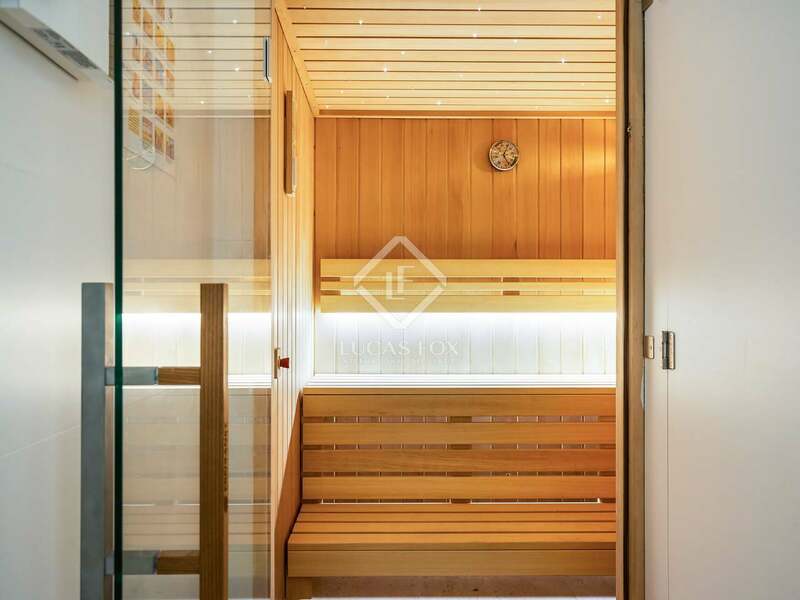 And what better than a visit to the communal gym and spa with sauna and a pool with hydromassage water jets to provide the perfect end to a long day in the city. 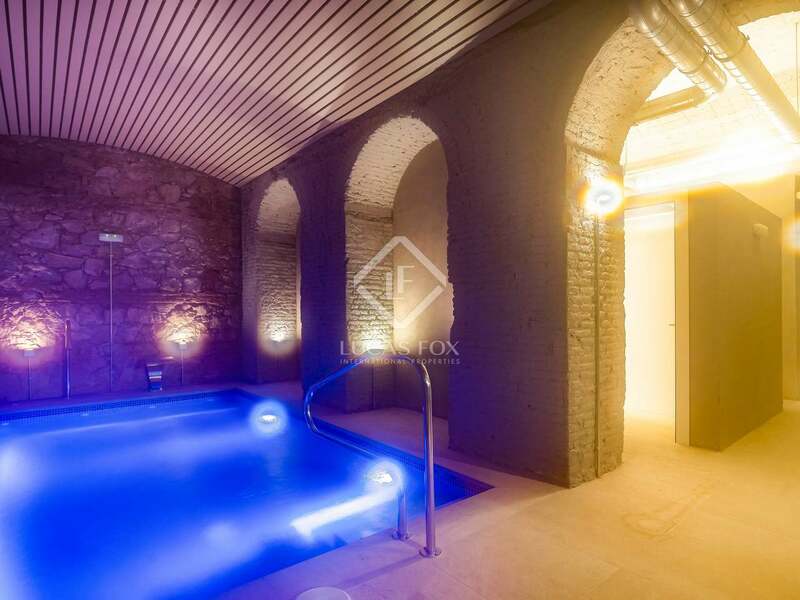 Pure elegance and luxury in a penthouse of this prime development.